√Ç¬∂1, (C) Summary, Over the past two months the domestic written press, both government and opposition, has churned out a stream of reporting on President Mugabe,s possible retirement. The local rumor mill has kept pace. Competing succession scenarios and successor lists have appeared, and different timelines have been presented. In the final analysis, however, there appears to be no heir apparent that does not suffer some disqualifying flaw, and no clear-cut scenario for when, or under what terms, Mugabe might actually step aside. As usual, and barring unforeseen actuarial developments, the decision on where Mugabe goes remains squarely with Mugabe himself. His willingness to commit to a fixed timetable for succession is the key to moving beyond the status quo and bringing the possibility of meaningful change to Zimbabwe. End summary. √Ç¬∂3. (C) Free and fair elections or a transitional government of national unity do not figure into any scenario that ZANU-PF insiders or government-owned newspapers have conjured up. In ZANU-PF logic, ZANU-PF succession is a given. Recent Politburo discussions of the succession issue reportedly concluded that any successor to Mugabe must meet two basic requirements: enjoy significant acceptance in all provinces, and be acceptable to the Ndebele in the South. The two names most frequently mentioned as presidential successors are Speaker of Parliament Emmerson Mnangagwa, Mugabe,s clear favorite, and former Finance Minister Simba Makoni; but neither of them cleanly fit the bill. Because of his involvement in the Matebeleland massacres of the 1980s, Mnangagwa cannot pass muster with the Ndebele. In addition, he is feared and mistrusted by many ZANU-PF insiders, including his arch-rival (and former ZAN/ZANLA Commander) Solomon Mujuru, for his ruthlessness. For his part, Makoni is the darling of the donors, popular with the more liberal-minded, and acceptable to many in the MDC. However, he comes from Manicaland and lacks a broad constituency base in Mashonaland rural areas and is anathema to pro-Mugabe hard-liners for his commitment to reform and his conciliatory political views. √Ç¬∂4. (C) Other potential successors worth mention include Defense Minister Sidney Sekeremayi, who has considerable Politburo support, and retired Army General Solomon Mujuru. The former suffers from a reputation for personal weakness, while the latter is widely considered too rough-edged and uneducated to handle the job. In Mujuru,s case, he seems more interested in being kingmaker than the king. The very ambitious Minister of Information Jonathan Moyo, an Ndebele, is widely disliked in party circles. His dependence upon the patronage of Mugabe is such that he appears determined to block or delay any moves toward Mugabe,s departure, since Moyo himself is an unlikely dauphin. Like Mugabe, Minister of Local Government Ignatius Chombo is from the Zezeru sub-clan of the Shona, and his nomination would spark fierce opposition from the competing Karanga and Manyica sub-clans. √Ç¬∂5. (C) Other candidates include Minister of Special Affairs in the President,s Office John Nkomo, whose Ndebele bloodlines and ZAPU origins might qualify him for a prime ministerial or custodial role, but certainly not a strong presidential one. Lesser candidates include Minister of Home Affairs Kembo Mohadi, Minister of State for National Security Nicholas Goche, Minister of Social Welfare July Moyo, and Minister of Foreign Affairs Stan Mudenge. Most are not serious contenders for ethnic/clan reasons, or for a lack of political traction with the generation of ZANU-PF heavyweights from the liberation era who must ultimately second Mugabe,s choice. Many of these old-timers in their 70s and 80s, including the two Vice Presidents, Didymus Mutasa, and Nathan Shamuyarira can be expected to resist mightily any change from the effective one-party system they have known so long. Less entrenched and ideological insiders would like to see reform, but only ZANU-PF reform, and fear that the party has not prepared for succession and would be extremely vulnerable in the post-Mugabe period. For different reasons, many within the party would prefer to still the winds of change. The fact that there are competing rivalries and factions with ZANU-PF has serves to slow change, whether these divisions are the critical factor, or a pretext for Mugabe to cling to power. √Ç¬∂6. (C) From the ZANU-PF perspective, the path to the Presidency of the Republic clearly goes through the ZANU-PF presidency. Mugabe has held this position since 1987 and will continue to serve until next December at the earliest, when the ZANU-PF Extraordinary Congress will take place. Mugabe,s five-year term as ZANU-PF leader does not expire at that time, but there is widespread speculation that he will take this occasion to step aside, and thus open the way for a successor whom he can designate and who will presumably become the favorite to succeed Mugabe as President of the Republic. According to well-informed ZANU-PF MP Edison Zvobgo, this is the scenario that has been painted to the South Africans. This may also be a wishful scenario. We note for the record that there was widespread speculation before ZANU-PF,s last two major get-togethers in 2000 and 2002 that Mugabe would either name a successor or would be confronted by the party membership, neither of which transpired. √Ç¬∂7. (C) Should Mugabe choose to stand aside, however, the ZANU-PF party Constitution provides a clear framework for electing party leadership. The National People,s Congress, which is held once every five years, elects the President, two vice-presidents, and the National Chairman of the party directly, upon nomination by at least six provincial executive councils of the party, meeting separately, in special session called for that purpose. If more than one candidate is presented, then the candidate having the highest number of votes stands as the nominee. In the event of a tie, the National Congress votes by secret ballot. The ZANU-PF constitution does not address the case of a resignation in mid-term. Whether Mugabe would respect the established rules in this case, and accept the caucus of the provincial executive councils, is known only to him. There is ample proof that he is not prone to leaving political choices to electoral chance, and he would try to tip the contest to his preferred candidate. √Ç¬∂8. 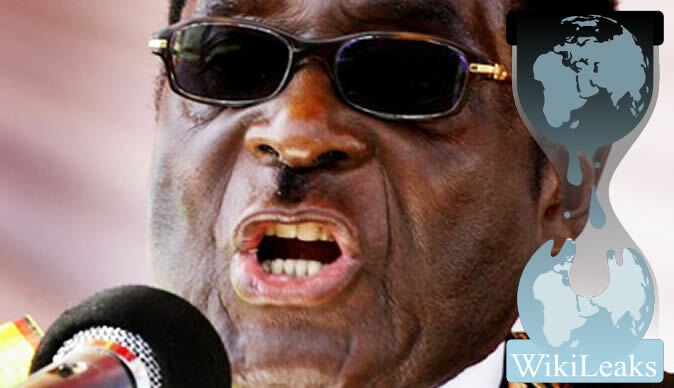 (C) If Mugabe seeks re-election as ZANU-PF President in December, he will almost certainly prevail. Despite the increased muttering of a growing number of party members adversely affected by Mugabe,s policies, there seems to be no individual or coalition within ZANU-PF willing to tackle him head on. His retention of the ZANU-PF presidency would also indicate that his retirement from national office would not be imminent. Mugabe,s decision to cede ZANU-PF to another, however, could signal willingness to pass Zimbabwe,s presidency to a hand-picked successor as well, probably well before the expiry of Mugabe,s current term in √Ç¬∂2008. It would not necessarily signal a commitment to a government that includes the opposition or an early election in which Mugabe,s successor, and by extension ZANU-PF, would take their chances. A scenario in which Mugabe stepped down as ZANU-PF chairman in December, then resigned as president in 2004 to start the constitutionally-mandated three-month electoral clock ticking, might not be a desirable outcome. In fact, it could well signify a replay of the violent, fatally flawed presidential election of 2002. √Ç¬∂9. (C) Robert Mugabe and the ZANU-PF leadership have been sending out ambiguous messages for most of a year about their willingness to embark on a genuine transition process. Their willingness to contemplate such a transition has waxed and waned depending on the degree of pressure that the Government has been under, particularly from their African colleagues. When pressed, Mugabe and ZANU-PF hint of a transition possibly beginning with the December party congress and ending no later than the 2005 parliamentary elections. Once the pressure is off -- as ZANU-PF leaders may now perceive it to be following the GOZ,s successful use of security forces to prevent the MDC-called June demonstrations, the conclusion of President Bush,s trip to Africa, and Mugabe,s rotation into the AU,s regional Vice President slot -- Mugabe and coterie may once again be ready to reject any change that occurs on terms other than their own. ZANU,s Information Secretary Shamuyarira provided a graphic illustration of this SIPDIS last week, on Monday pleading with the Ambassador that the US should refrain from doing anything rash because Mugabe was open to change, but on the following Saturday telling the Ambassador that he and his colleagues flatly reject any compromises with the MDC, which is a puppet of the British and Uncle Sam. In sum, probably only Robert Mugabe knows how sincere are his intimations that he is ready to contemplate a departure from power under circumstances other than a forced exit. √Ç¬∂10. (C) Because Mugabe,s departure is necessary for any meaningful political change in Zimbabwe )- although his departure will not necessarily guarantee this -- Mugabe,s exit should remain our top priority. We must seek to use all means at our disposal in our dealings with regional leaders such as Mbeki to seek to get Mugabe to publicly commit to a timetable for stepping down from party leadership and the Presidency, not later than December. Barring such a commitment, and combined with Mugabe,s coyness on whether his talk about succession is merely that, we could otherwise end up facing a worst case scenario for Zimbabwe,s future ) a lingering status quo. End comment.